This is Warama Kurupel Suwede. 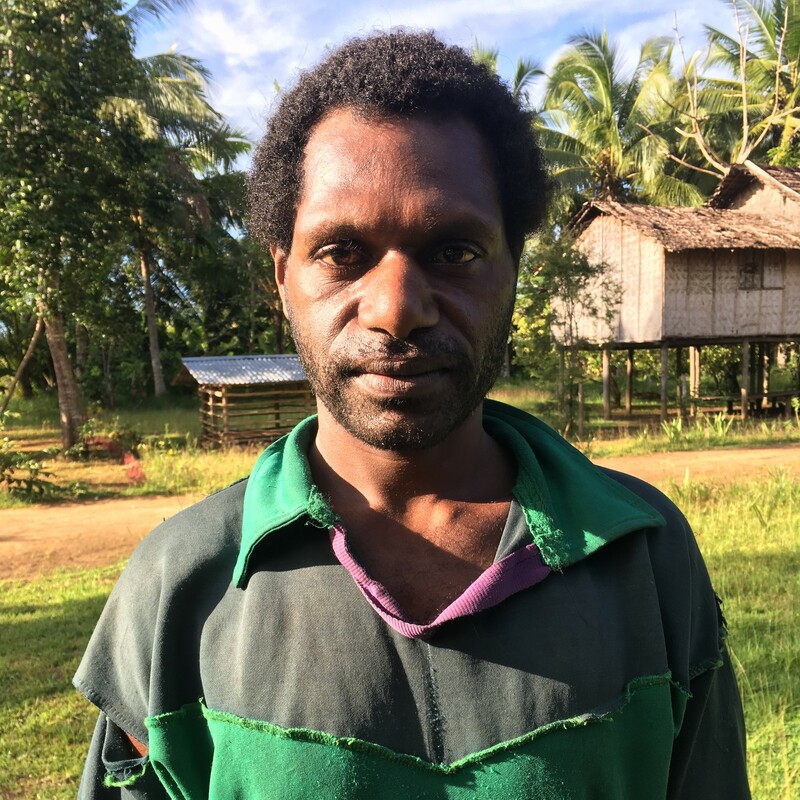 He is an Ende tribesman and pastor of the Evangelical Lutheran Church of Papua New Guinea in the village of Limol in South Fly, Western Province, Papua New Guinea. He is a quiet and determined man, caring husband to Wagiba Geser and devoted father and grandfather to many. He is the founding president of the Ende Language Project. 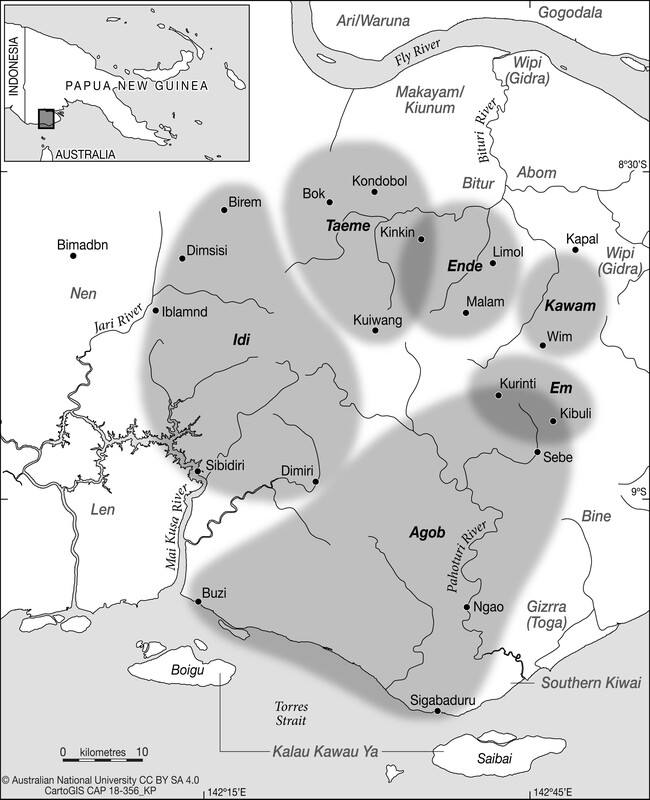 The Ende Language Project refers to all the organized efforts conducted by members of the Ende-speaking villages of Limol and Malam to promote literacy of the Ende language and preserve their linguistic and cultural heritage. These efforts originated in 2003, when the Ende tribe received an invitation from the Lewada Bible Translation Center in the nearby village of Lewada on the south bank of the Fly River. The village was asked to send several volunteers up the Bituri River to spend several years in Lewada translating the biblical book of Mark into Ende. Warama and Wagiba answered this call and moved to Lewada with several family members including their son Tonzah (Tonny) Warama. Map detailing villages where Pahoturi River languages are spoken (2018). While at the Lewada Bible Translation Center, the family worked with Jae-Wook Shim (SIL) to establish an orthography for Ende and produce a short Ende reader to test it. In 2007, they finished translating the book of Mark into Ende, which is now a great source of pride among the Ende tribe. The family then returned to Limol village with the goal of training others in reading and writing the Ende language. In 2013, Warama travelled to Bimadbn with his sons Tonny and Matthew to meet with linguist Nicholas Evans, who was in Bimadbn on fieldwork. They made an official request for a linguist to come to Limol and help continue the work they had started. In 2015, this video was sent to me when I reached out to Nick for contacts in the area. I had first become acquainted with the Pahoturi River language family as a student at the Linguistic Society of America’s 2011 Summer Institute, where Nick Evans and Idi-speaker Wasang Baiio led the field-methods course on the Idi language. I responded to Warama’s invitation, which initiated my own involvement in the Ende Language Project. Language and Life in Limol. Wagiba Geser. 5 min. Ende language. This is Wagiba Geser. She is a fierce advocate for justice and development within the Ende community and is known for her sacrifice to help those in need. She is also a fount of knowledge of Ende culture and history, an excellent translator, and an entertaining storyteller. Between 2015 and 2018, Wagiba took care of all matters pertaining to the Ende Language Project, while my team and I made five trips to Limol village. One project which Wagiba spearheaded with visitor Diana Johnson was the creation of monolingual Ende books for use in the community and the elementary schools. In total, seven books were written, illustrated, and bound between 2016 and 2017. These collaborative projects include: an alphabet book, a children’s story book, an old ways history book, a book on health, a book of fishing stories, a book of hunting stories, and a church songbook. To gather the material for the books, Wagiba encouraged a wide range of storytellers in the village to visit the linguistics team in the Language House and tell their stories orally. Then, the linguists worked together with native speakers to transcribe the stories into the orthography designed by the Ende Language Project, with a few improvements based on community feedback. Once the stories were written down, speakers more comfortable with writing, like Tonny Warama, Jerry Dareda, and Warama Kurupel, rewrote the stories into prose. Winson Warama carefully penned the words onto loose paper which were then pasted into blank sketchbooks. Children and adults participated in an community-wide drawing contest to be selected to illustrate each of the stories. These illustrations were also pasted into the art books. Finally, the covers of the books were decorated by combining traditional frond weaving and more contemporary dyes and adhesive. Visiting project members Catherine Scanlon, Diana Johnson, and Lauren Reed assisted in creation of the books. Snapshots of books produced by the Ende Language Project in use in Limol village (2016-2018). Shown with permission. Photograph of Tonzah (Tonny) Warama (2018). Shown with permission. This is Tonzah (Tonny) Warama. Tonny is every bit his father and mother’s son: a quiet, caring man with a passion for cultural and linguistic preservation, with both a head and heart for technology. Each year, Tonny led the Ende Language Project in an ambitious direction. In 2015, he led workshops on semantic domains to collect more than 1000 words a week for the Ende dictionary. In 2016 and 2017, he patiently sat with me as we wrangled more than 500 complex verbal paradigms into a comprehensive database. In 2018, he co-taught with me an eight-week course on technology, training students from three nearby villages to use audio recorders, video recorders, cameras, microphones, solar panels, satellite phones, and laptop computers. Snapshots from the 2018 technology class in Limol. Shown with permission. This eight-week course resulted in a 30-minute documentary, which Tonny directed and narrated. Other members of the technology class filmed and acted. The movie shows life as it was in Limol before Christianity and how it all changed when two missionaries came from up river, and sent two Ende brothers to Bible school in the late 1950s. They returned three years later as the first Ende pastors. The movie talks about the hardships they faced and how the arrival of Christianity came with the arrival of clothes, medicine, air strips, and schools. The movie, titled Ende Tän e Indrang or ‘Light into Ende Tribe’ is a fascinating ethnographic document and showcases the unique possibilities of community-led language documentation. Ende Tän e Indrang 'Light into Ende Tribe' 30 min. Ende language. Faces of Limol village (2018). Shown with permission.